under the jurisdiction of Bongaigaon District Circle, Bongaigaon. Minimum Qualification:- HS passed with type writing in English and Assamese. Scale of pay: Pay Band 2 of Rs. 5200/- to Rs. 20,200/- + Grade Pay Rs. 2200/- PM. & other allowances admissible as per Govt. Rules. 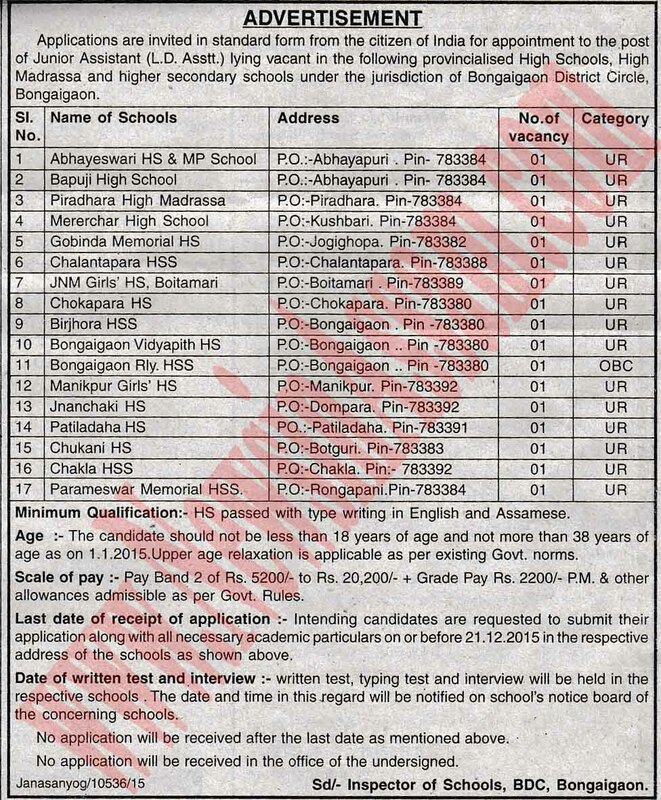 Last date of receipt of application: Intending candidates are requested to submit their application along with all necessary academic particulars on or before 21.12.2015 in the respective address of the schools as shown above.